The GDPR (General Data Protection Regulation) is a new EU Regulation which has replaced the 1995 EU Data Protection Directive (DPD) on 25th May 2018. The new regulation enhances the protection of personal data of EU citizens and increases the obligations on companies who collect or process personal data. The new GDPR gives individuals the right to access information companies hold about them, and companies have to be able to document how data is being kept and used within each organization. 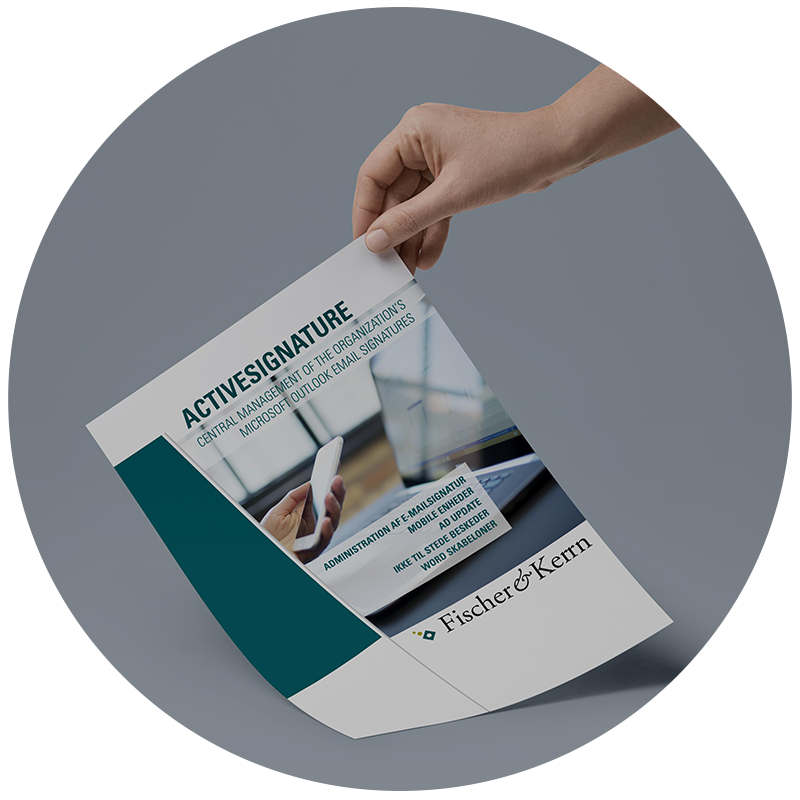 ACTIVESIGNATURE and CONCIERGE BOOKING SOFTWARE (hereinafter “Fischer & Kerrn products”) can be hosted as on-premise solutions. In this case Fischer & Kerrn don’t hold any data or have access to any sensitive information. All data are stored on the customers own environment. In this case it is enough to enter a simple Data Processor Agreement. CONCIERGE BOOKING SOFTWARE can be hosted on Fischer & Kerrn’s Microsoft Azure hosting environment. In this case all data from CONCIERGE BOOKING SOFTWARE is stored in the Azure platform and data is directly accessible by Fischer & kerrn. We take this responsibility very seriously and we have taken all the necessary steps to ensure that your data is safe. Deletion of meeting data: Data about meetings saved on Microsoft Exchange and in CONCIERGE BOOKING. This kind of data must be deleted no later than 1 year after the meeting have been held. If you are invoicing costs related to the meetings it is important that you do not delete the meeting data before you have done the invoicing. We can help you set up a service that automatically deletes the meeting data in a proper way. Storage of visitor information: Persons that have been registered as visitors in CONCIERGE BOOKING can be stored as Microsoft Outlook contacts. According to GDPR information about visitors should not be stored. We have developed a CONCIERGE BOOKING tool that automatically deletes the visitor data in a proper way. Visitor accept of personal information: For customers using visitor self-registration we recommend using the accept of terms and conditions feature. Visitors then needs to read and accept your terms and conditions regarding how you manage and store their personal information (usually just name, company and maybe phone number). We have prepared a full GDPR document where you can read more about what data CONCIERGE BOOKING stores and where it is stored. Please fill out the form below if you want our GDPR document and our service tools that can delete personal data and information about meetings in a proper manner. Learn how CONCIERGE BOOKING stores data and where data is stored. We will also send you information about our GDPR cleanup tool.